As a young boy growing up in Central California, I always fantasized about how awesome it would be to jump on my bike with a surfboard and ride down to the beach to surf. But I was about 2 hours away from any salty body of water. My family was usually able to drive to Santa Cruz, rent some boards and go surfing a couple times a year. The sad truth is that many underprivileged kids within a bike ride of the beach have less ability to surf than I did. Surfing can teach many of life’s most important lessons, like tenacity, respect, and humility. Surfing can be a great way to stay in shape; when’s the last time you saw an obese surfer? And most of all, surfing can provide us with a much-needed escape from reality and can quench a thirsty soul. Here are three amazing nonprofit groups that are giving underprivileged youth access to the benefits of surfing. Through mentorship and action sports culture, STOKED empowers underserved youth to reach their fullest potential, instilling passion, resilience and determination. STOKED partners with middle schools and high schools in underserved communities to give kids from low-income families and single-parent households access to mentorship, outdoor activity, and programs to prepare them for college. They have a four-year program called “STOKED for Success” that provides a group of professionals, entrepreneurs, and creatives that teach in alternative settings to bring teens out of the classroom and into real-life, character-building situations. STOKED also believes that action sports (like surfing, snowboarding, and skateboarding) are the best ways to develop resilience, self-reliance and community. Sound like an exciting opportunity for you to get involved? Check out their calendar of upcoming events to see how you can get stoked with some awesome kids. Urban Surf 4 Kids is a unique outreach organization that works with orphan and foster kids. Urban Surf 4 Kids is an outreach organization that serves orphans and foster youth. The group uses water sports to teach kids how to have fun and give back to their communities through local service projects. Many of the children in the program come from urban neighborhoods and would otherwise have no chance of ever getting near a surfboard or learning how to swim. Many have never even been to the beach. Urban Surf 4 Kids strives to empower at-risk kids to transcend the brand of “underprivileged.” In 2015, They raised $169,650 in revenue and served over 750 children. 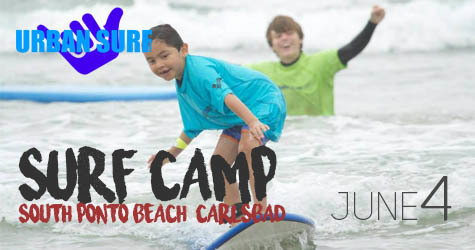 Urban Surf 4 Kids is looking for volunteers for its upcoming 2016 events in Southern California. Get out there and join the cause! 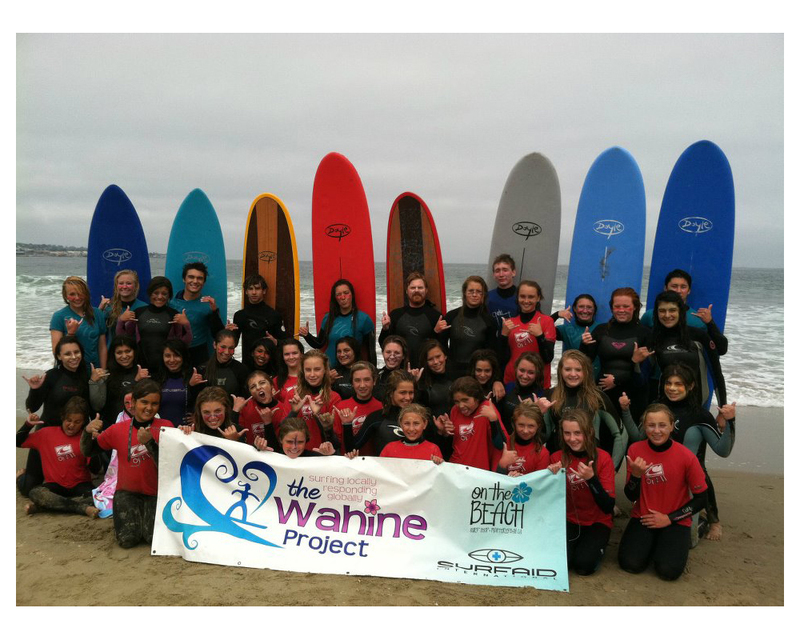 The Wahine Project allows a diversity of girls access to ocean sports who would otherwise not have the opportunity. The Wahine Project mission is “Inspiring a global response that eliminates the barriers preventing a diversity of girls from a personal relationship with the ocean and with one another.” They give underserved girls access to surfing who would otherwise never get the opportunity while teaching them ocean safety, self-esteem, social and environmental responsibility and how to live a healthy lifestyle. The Wahine Project provides wetsuits, gear and swimming lessons to all participants who register for bi-weekly or weekly programs. Want to shred with these awesome girls? Find out about volunteer opportunities on their 2016 event registration calendar. These three nonprofits are granting access to outdoor sports and personal development in totally awesome ways. StokeShare has partnered with STOKED to mentor kids from inner-city Los Angeles for the past two years. We’ve connected over 100 kids with nature and provided environmental education (in conjunction with the Surfrider Foundation) to teach the importance of recycling and conservation. StokeShare is pumped to join the STOKED family this winter at Big Bear for some snowboarding and skiing as well. For more information on volunteer opportunities and other ways you can get involved, visit StokeShare or leave a comment below. We provide Surf Vacation Packages in USA, Indonesia, Maldives and more countries. If anyone wants to join our tour then you can visit http://www.worldwaveexpeditions.com/. Awesome Luc! Thanks for the link.